Fine colored gemstones are both beautiful and rare. But high quality gems really show their best when set in fine gold or platinum jewelry. 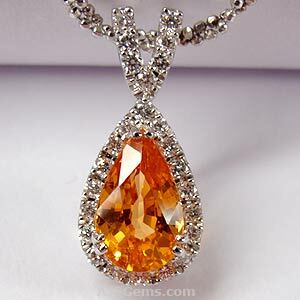 Even many gem collectors and investors prefer to have their gems set in jewelry. A well-designed jewelry setting can enhance the qualities of a gemstone, and even a medium-grade stone typically looks better when mounted. Gems tend to look larger when set, and they are enhanced by the color of the precious metal and accent stones such as diamonds, and by the design of the mounting. 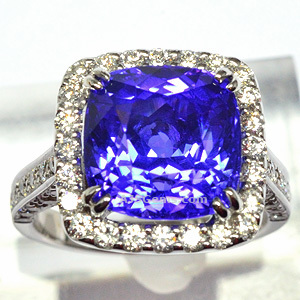 If you want a fine piece of colored gemstone jewelry, selecting a high quality loose gemstone first will get you the best choice and the best value. Then work with a skilled jeweler to design jewelry that your family will treasure for generations. Round stones are mounted in just about every kind of jewelry, from rings to pendants, brooches, bracelets and earrings. They are often combined in multi-stone designs and used as accent stones. Rounds are always popular in stud earrings and as center stones in classic ring designs. Ovals tend to be the most common shape in colored gemstones, because the rough material is most often oval in shape. Ovals can give a very different look depending on their proportions, since they range from nearly round to elongated. Ovals often present the opportunity to mount them with the long axis vertically ('north-south') or horizontally ('east-west'). Ovals are especially popular in rings and pendants, and are often set with a halo of small white diamonds. The cushion-cut is a classic shape that was very popular in the nineteenth century. It is a cross between the rectangular and oval shapes and is basically a rectangle with rounded corners. 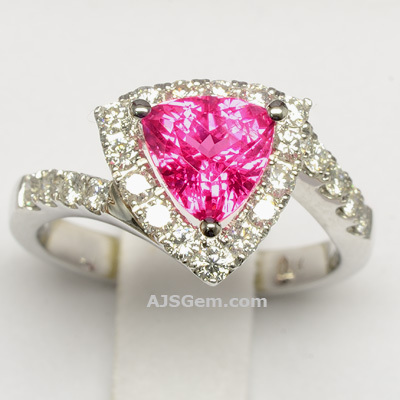 Cushions are suitable for all kinds of jewelry, but are especially popular in rings. Cushions are often found with square proportions but rectangles are also common. The emerald cut is a rectangular shape with large facets cut in steps. 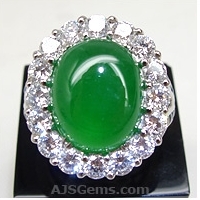 The large facets are ideal for maximizing color and thus this cutting style was popular for emeralds (hence the name). 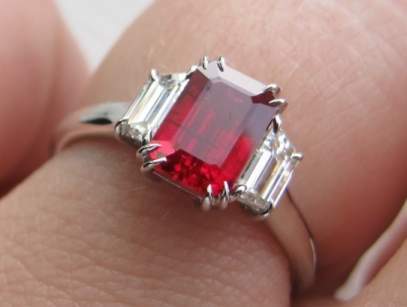 Many tourmalines and aquamarines are given an emerald cut as well. The pear shape is an elegant shape that is especially popular for pendants and drop earrings, though it is also used effectively in ring designs. Proportions may vary, from long elegant teardrops to plump pears. Pear shapes are found in nearly every gem variety. 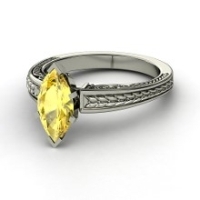 The marquise is an elliptical shape with pointed ends. This cut is thought to originate in the 18th century at the court of Louis XV. It is a long and elegant shape that makes the most of a gem's carat weight. Proportions may vary, but the length to width ratio is typically around 2:1. 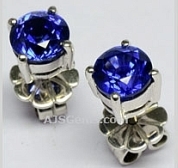 Popular for rings as well as earrings, and as a design element in multi-stone jewelry. Trillion (sometimes trilliant) is used to refer to a faceted or cabochon gem in a triangular shape. The trillion cut can show impressive brilliance and sparkle and works very well for lighter colored gems. Generally trillions are cut as equilateral triangles, with a 1:1 length to width ratio. 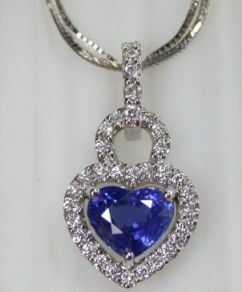 Heart shapes are less common, but they are the most romantic of all gemstone cuts. A heart is essentially a pear shape with a cleft at the top. Heart shapes work especially well for pendants or brooches, but can also be seen in ring and earring designs.